Tuesday is the planned launch for a SpaceX Falcon 9 carrying two payloads to orbit — and this launch will be an especially interesting one. A set of five communications satellites for Iridium need to get to almost 500 miles up, but a NASA mission has to pop out at the 300 mile mark. What to do? Just make a pit stop, it turns out. Now, of course it’s not a literal stop — the thing will be going thousands of miles per hour. But from the reference frame of the rocket itself, it’s not too different from pulling over to let a friend out before hitting the gas again and rolling on to the next destination. What will happen is this: The rocket’s first stage will take it up out of the atmosphere, then separate and hopefully land safely. The second stage will then ignite to take its payload up to orbit. Usually at this point it’ll burn until it reaches the altitude and attitude required, then deploy the payload. But in this case it has a bit more work to do. When the rocket has reached 305 miles up, it will dip its nose 30 degrees down and roll a bit to put NASA’s twin GRACE-FO satellites in position. One has to point toward Earth, the other toward space. Once in position, the separation system will send the two birds out, one in each direction, at a speed of about a foot per second. The one on the Earth side will be put into a slightly slower and lower orbit than the one on the space side, and after they’ve spread out to a distance of 137 miles, the lower satellite will boost itself upwards and synchronize with the other. That will take a few days, but just 10 minutes after it sends the GRACE-FOs on their way, the Falcon-9 will resume its journey, reigniting the second stage engine and bringing the Iridium NEXT satellites to about 485 miles up. There the engine will cut off again and the rest of the payload will be delivered. So what are these high-maintenance satellites that have to have their own special deployments? The Iridium NEXT satellites are the latest in a series of deployments commissioned by the space-based communications company; they’re five of a planned 75 that will replace its old constellation and provide worldwide coverage. The last launch, in late March, went off without a hitch. This is the only launch with just five birds to deploy; the previous and pending launches all had 10 satellites each. 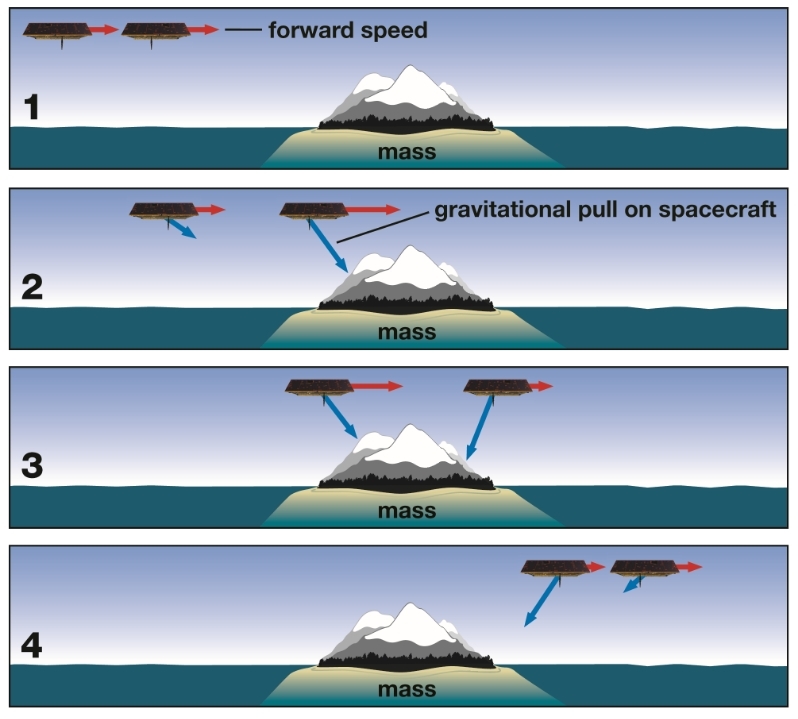 GRACE-FO is a “follow-on” mission (hence the FO) to GRACE, the Gravity Recovery and Climate Experiment, and a collaboration with the German Research Centre for Geosciences. GRACE launched in 2002, and for 15 years it monitored the presence and changes in the fresh water on (and below) the Earth’s surface. This has been hugely beneficial for climate scientists and others, and the follow-on will continue where the original left off. The original mission worked by detecting tiny changes in the difference between the two satellites as they passed over various features — these tiny changes indicate how mass is distributed below them and can be used to measure the presence of water. GRACE-FO adds a laser ranging system that may improve the precision of this process by an order of magnitude. Interestingly, the actual rocket that will be doing this complicated maneuver is the same one that launched the ill-fated Zuma satellite in January. That payload apparently failed to deploy itself properly after separating from the second stage, though because it was a classified mission no one has publicly stated exactly what went wrong — except to confirm that SpaceX wasn’t to blame. The launch will take place at Vandenberg Air Force Base at 12:47 tomorrow afternoon Pacific time. If it’s aborted, there’s another chance on Wednesday. Keep an eye out for the link to the live stream of this unique launch!